Jay & Krista Reiser started ranching in 2010. They use holistic planning as the foundation to build and improve their ranch. They intensely manage the land in hope to build a profitable ranch. They integrate practices such as bale grazing, winter grazing, and mob grazing. 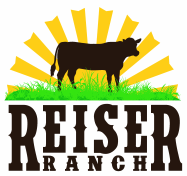 Reisers have a desire to be a part of regenerative agriculture; using livestock grazing management to improve soil health. Reisers started with a small herd of 20+ leased cattle and a few owned cattle in 2010. Their operation has grown each year by retaining heifers, having share cattle, lease cattle, and custom grazing. Reisers got their start just east of Washburn, ND along Painted Woods Creek. In December 2015 they expanded and purchased a ranch just outside of Beulah, ND. The Washburn ranch will remain their headquarters and base of regenerative agriculture.